John Fuller, vice president of the Evanston/North Shore branch of the NAACP, speaks at a panel on affordable housing Thursday night. Fuller and three other panelists discussed fair housing practices in Evanston and the North Shore shortly after the Supreme Court ruled in favor of inclusionary housing in a Texas case. A panel of experts spoke Thursday night examining how far Evanston has come regarding issues of affordable housing as the 50th anniversary of Dr. Martin Luther King Jr.’s 1965 speech at the Winnetka Village Green on North Shore housing discrimination draws near. Although the panel at the Evanston Public Library, 1703 Orrington Ave., was intended to lead into the celebration of Dr. King’s July 25 speech, it also coincided with movement on affordable housing reform on the national stage. The Supreme Court handed down a decision Thursday in a case between the Texas Department of Housing and Community Affairs and the Inclusive Communities Project, which seeks to further fair housing in Texas. In a 5-4 decision, the Supreme Court ruled in favor of the Inclusive Communities Project, which claimed Texas’ distribution of housing tax credits was contributing to patterns of segregation. By validating concerns that Texas’ policies were discriminatory because they had a “disparate impact,” the Supreme Court sided with inclusionary housing and acknowledged that there is a “legitimate public reason” to avoid policies that contribute to patterns of segregations, said Gail Schechter, the executive director of Open Communities, a nonprofit aimed at combatting housing discrimination. Schechter spoke about the historical roots of the affordable housing campaign in Evanston. Her organization, under its former name of the Interfaith Housing Center of the Northern Suburbs, was founded in 1972 in response to Dr. King’s speech. Open Communities advocates for policies that create affordable and inclusive communities. King came to Winnetka on the invitation of the North Shore Summer Project, a group of North Shore residents worried about the lack of diversity in their communities, and spoke to thousands about the pervasive nature of housing discrimination — explicit and implicit — on the North Shore, Schechter said. Although the national Fair Housing Act prohibits discrimination against protected groups, Open Communities employs testers go “undercover” to look for differential treatment in housing practices on the North Shore. 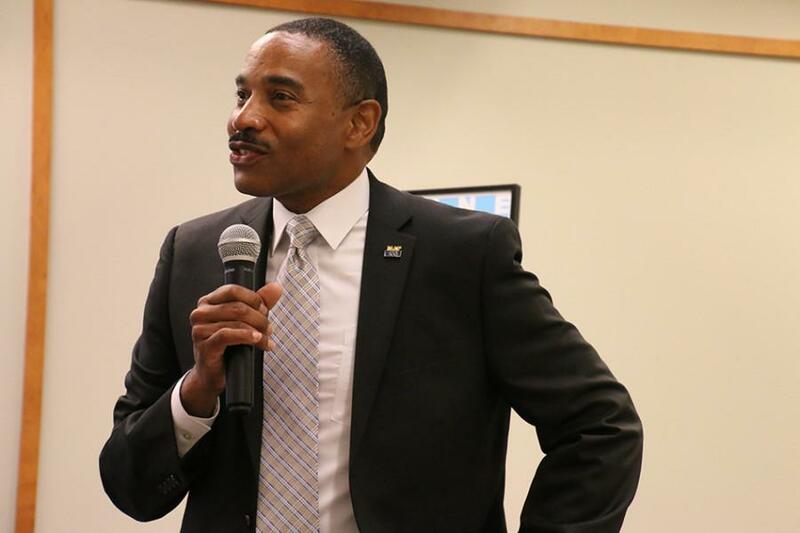 Along with the Evanston/North Shore branch of the NAACP, Open Communities is the one of the only watchdogs for housing discrimination on the North Shore, Schechter said. When the panelists began throwing various numbers and percentages back and forth, panelist John Fuller, the vice president of the Evanston/North Shore branch of the NAACP, sought to refocus attention on the human dimension of the issue. Noting the predominately black and Hispanic populations of the 2nd and 5th Wards, Fuller pointed toward census data showing a decrease in the black population of Evanston, which he suggested is connected to the loss of affordable housing stock in those wards and throughout the city. Sarah Flax, the housing and grants administrator for the city, spoke about improvements the city is making in its affordable housing policies as well as improvements in how affordable housing is understood by the Department of Housing and Urban Development. Although the city enacted an inclusive housing ordinance in 2007 which requires a certain number of condominiums be set aside in new developments as affordable units, the 2008 housing market crash meant far more people could only afford rentals, Flax said. The city is currently working to amend that ordinance to encourage the construction of affordable rental units, she said. Other recent improvements include a 2013 law that prohibits landlords in Cook County from rejecting offers from tenants with Housing Choice Vouchers — formerly known as Section 8 vouchers — as well as a new HUD formula that takes the local housing market into account when deciding how much rent a voucher should cover, Flax said. One controversial measure of the ordinance allows developers to pay a $40,000 fee which goes toward funding affordable housing construction in lieu of building the affordable housing units. Fuller, a critic of the measure, insists that the “buy-out” fees allow developers to avoid putting affordable units near their market-priced units. Flax agreed with many of the points that Fuller raised, telling The Daily that two areas the ordinance could improve are higher, and more prohibitive, buy-out fees as well as a more effective bonus system. Although the panelists were unsure what changes might come from the Supreme Court’s Thursday ruling, they urged residents to be active about affordable housing in their own community. “Be vocal, get it out there, make noise — be Evanstonians,” Fuller said.